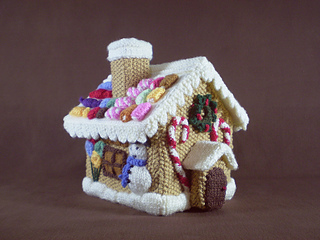 This is the 21st in a series of 24 linked patterns, published daily in December 2014, to decorate a knitted Gingerbread House. 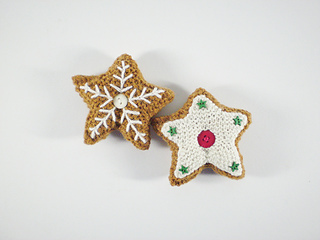 The last four patterns are for a set of gingerbread ornaments to keep in the house. 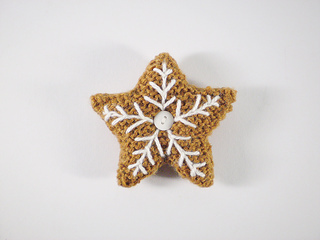 The first gingerbread ornament is a five pointed star. 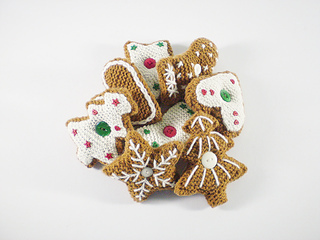 It is about 9 cm / 3½“ wide and can either be embroidered or ‘iced’ with more knitting. 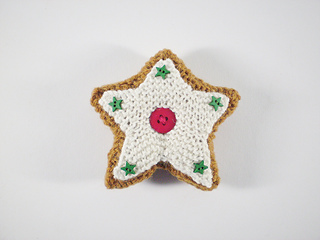 The stars are knitted with ginger DK weight yarn. If you are making the iced version you will also need some 4 ply cream yarn and 2. 25 mm / US size 1 needles.